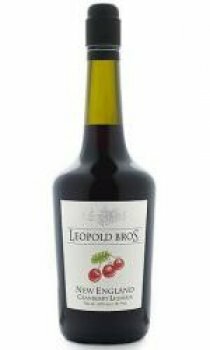 They use two different varieties of cranberries grown primarily in famous cranberry bogs when making the award-winning Leopold Bros New England Cranberry Liqueur. They juice the cranberries and blend them with eaux-de-vie. A small amount of sugar cane is added to balance out the tartness of the real cranberry flavour. To preserve the integrity of flavour and vibrant red colour, the cranberry liqueur is bottles by hand. Best In Show, San Francisco World Spirits Competition. The first non-French fruit liqueur to receive the award.